Does Your Data Have a Safety Blanket? By definition a safety blanket provides a person with protection from danger and threats – but does your critical data have a ‘storage safety blanket’ to rely on for protection in the long-term? In this BlogBytes, we take a look at how LTO tape technology has got you covered to provide the ultimate safety blanket for your data on-site, off-site and in the cloud. Firstly let’s take a look at just how vast the tape safety blanket is. In March, the LTO Program released their annual tape media shipment report, detailing year-over-year shipments. The report showed a record 108,457 petabytes (PB) of total tape capacity (compressed) shipped in 2017. This was an increase of 12.9 percent over the previous year. To put that massive amount of capacity into perspective, that comes in at just over 25 billion DVDs worth of data! But why should I consider tape as a safety blanket in my data center? SearchDataBackup put it this way, “…using tape for backup is a safety blanket in most IT shops. Tape for backup is inherently offline. Data can’t be corrupted unless the tape is mounted, so it passes the ultimate test of being hack-proof.” And that’s not all – read on to learn about tape’s unique security features and how LTO-8 technology makes an obvious choice to protect your data in the long term. We know that the purpose of a storage safety blanket is to keep critical information safe from corruption and destruction long-term. But how does LTO technology provide comfort and safety for your data? Air Gap Storage: there is no electronic connection to the data on an un-mounted tape cartridge, helping to prevent cyber-attacks and hacks. Remote Storage Capability: easily ship a set of tape cartridges out of region to protect data against a primary site disaster. Built-in Data Encryption: LTO tape comes with hardware-based data encryption that utilizes powerful algorithms that do not affect compression, performance and capacity, which helps protect sensitive information if the cartridge were to fall into the wrong hands. WORM: the write-once, read many option stores data in a non-rewritable format to further protect data from being overwritten and to help address compliance regulations. Tape is consistently shown to be the lowest-cost form of digital data storage. In an ESG 10 year total cost of ownership study, an LTO tape solution was compared to disk and cloud solutions. 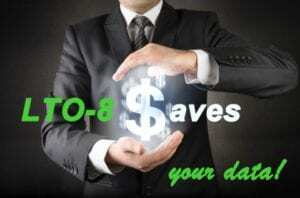 The LTO tape solution was 7X less costly than the disk scenario and nearly 6X less costly than the cloud-based solution. The modeled ROI for utilizing LTO storage to retain a large data store was 577 percent! 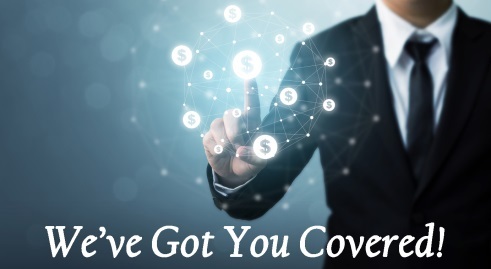 Want to compare your own storage costs with LTO technology and cloud-based alternatives? 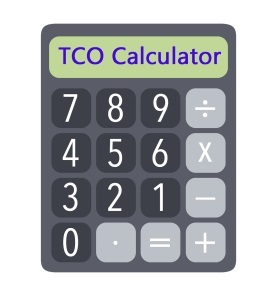 Try out our TCO Calculator Tool for free and see how much you could save. So, relax and sleep well knowing that your data is covered with a safe and secure storage blanket – LTO technology! For the ultimate security blanket LTO-8 technology is here to help.